As some of you may remember, Atlus released a JRPG on the DS a few years back called Radiant Historia. The game took a page from the book of Chrono Trigger and was heavily centered around a time travel mechanic wherein the protagonist had to devise the best possible path to take in order to avoid the apocalypse. With multiple endings based on the choices made and a rather interesting battle system, Radiant Historia was doubtless a favorite game for many JRPG fans. What do you think? Would you be interested in seeing a sequel? 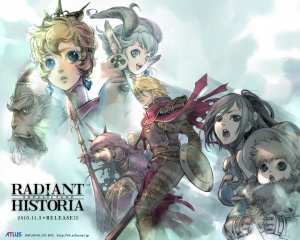 What did you think of Radiant Historia? Drop us a comment in the section below. Oh please, please make this happen! It's well deserving of a sequel and would be day one! Would definitely be interested to see a sequel! The original was really fun and the story was definitely interesting. I'm definitely interested in picking this up. I remember when this came out; I never got around to giving it a shot, though. Heard nothing but good things about it! Oh, darn, now that'd be an exciting sequel to play. Radiant Historia was amazing. Oh god please. The first one was amazing! 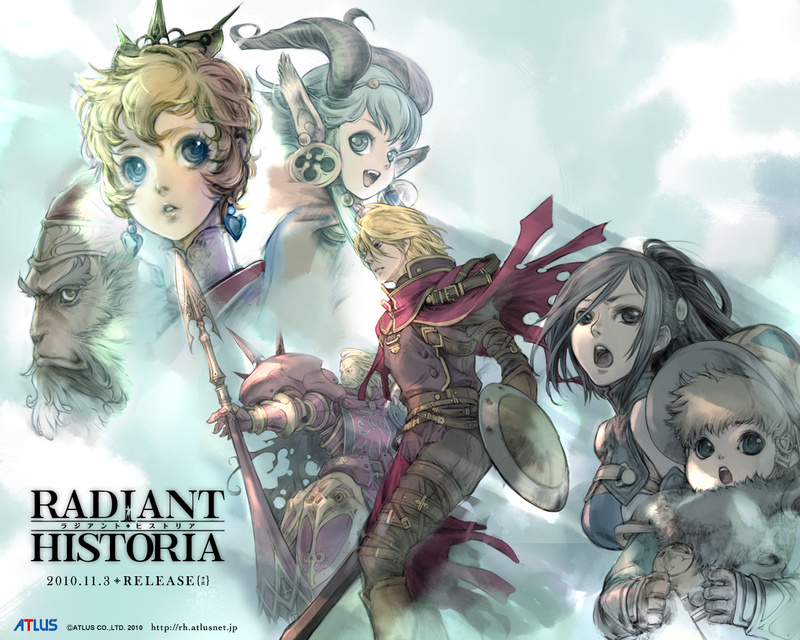 I remember actually finding Radiant Historia when it came out was fairly difficult, but I did enjoy it and will pick it up again if it ever shows up on VC. If there's ever a sequel, I'll be on board for that as well. Before this happens our fellow Nintendo fans in Europe need to receive the original because it was a big disappointment that they never received it. Shin Megami Tensei Strange Journey is another one Europe never received. I guess Atlus just hates Europe or Ghostlight didn't care about publishing it over there. Loved the first, normally I can't stand modern JRPG's but this one was very well made. Or since its region free you can order via ebay and pay vat and it would still be cheaper than an official eu release. @TheNomad Portable devices make the developers care more about the content than the package. And with RPGs that is rather beneficial. Id rather play a game on the ps4 than the ps3. I might actually not play a game because of the chibi or comic art style is off putting, like that steam game on 3ds, or most 3ds rpgs. Woah... I JUST bought the soundtrack and a guide book (hoping for artwork... which seems to be mostly contained in the other, much more expensive guide book) a couple of days ago. This was one of the most memorable games I've played in many, many years, and as much as I never thought a sequel would happen, I've always secretly hoped for it. MAKE IT HAPPEN, Atlus!!!! The "was" never a hit part is making me think we'll never get it. YES YES PLEASE PLEASE PLEASE! They won't make #AnotherRadiantHistoria... The dream team is too far away, we won't have an Earnest Desire of Grey... Do we need an intervention to make it happen!? Well, he's got to finish working on that... how should I put this?... questionable conglomeration of J-pop, FE Akaneia, and Persona. This is a JRPG in my backlog. Type-0 HD and Tales of Vesperia are on my console (read: xbox) backlog, and I'm not sure whether to go for this or The World Ends With You on handheld. Of course, I've got to burn myself out on Halo 5 before getting anything else. I really enjoyed Radiant Historia and would love to see a sequel. Wasn't a huge fan, but more JRPGs is always good and who know? If they do the time travelling gimmick better and overall make it less bland and repetive maybe I will like it. I feel the premise has potential. It would be nice, since I really liked Radiant Historia. I only got to play it once but it's still fresh in my memory even after five years. Yes make it happen, Chrono Trigger and Radiant Historia were too of the best RPGs I love. would love another game by the same creators like this, but a direct sequel is probably not the best way to go about it. Too many games released (like this) get released with a whisper, against a background of shouting for the latest Pokemon game (or other 1st party remake) and few ever really hear about it. N releases tons of details about their games and few if any about the 3rd party ones, giving them only half a chance to thrive. Also it was released at the end of the DSi life cycle while most were waiting to buy the 3ds. It was not well received, because it was not well advertised for one thing and the above reasons. The game was good nay great IMO and few who even heard of it [& played it] would say otherwise. Loved the story, battle method, art style /graphics, what else could one want? besides a sequel... Count me in for a pre-purchase. Radiant Historia is a rare game for me, especially the main protagonist Stocke. There aren't anything like this on many games and there are only few anime series and manga which their protagonist share the same characteristics somehow such as Mahouka's Tatsuya Shiba, Grisaia's Yuuji Kazami, Iris Zero's Toru Mizushima, etc. My hopes for the sequel is that the protagonist is still Stocke himself or if not, the new protagonist shares the same qualifications as well especially in personality. RH's story and dialogue which you can't find in many games, is what makes it a gem. The gameplay, visuals and battle system are nice. As the story progresses its getting more and more interesting. This is a very well-made game. I had fun and totaly enjoyed it, wishing for a remake and a sequel to be great.